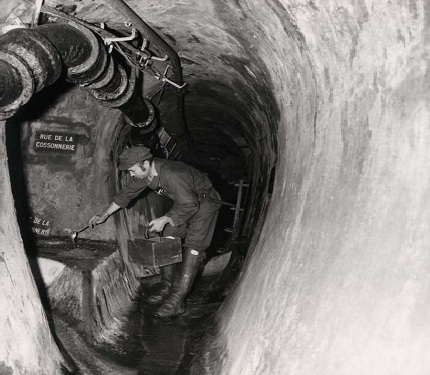 Can you imagine inspecting sewers not so long ago, perhaps in the 1930’s or 1940’s, without the technology we have today? Digging holes and getting muddy (and worse) just to take a look? Thank goodness inspections, and repairs too, are nowhere near as difficult as they used to be. Now we have the technology to not only inspect problems without digging, but repair and replace systems without having to also. Sewer Inspections are a much simpler process today. In the old days, the whole area would have to be dug up to identify which sections were causing trouble; now a video camera can run into the pipe. These cameras are able to give a clear picture of what is going on inside the pipe, and precisely which parts are in need of repair. They can assess the type of damage and the severity of it – cracks may have formed due to root intrusion, old materials may be breaking down or the pipes may just be clogged. This is a boon for the average homeowner, who could never get sewer lines inspected in the past without enormous cost and damage, and often just never got it done. This allows them to fully understand what is going on and the mistakes that they have perhaps been making regarding things that have been flushed or washed down the drains and toilets. It can also stop them from being overcharged by bad repairmen, who in the past could try and say that a problem is worse than it actually is. Plus, cameras can be used after repairs too, to clarify which areas have been fixed and if the job has been done properly. Non-invasive techniques have made sewer line repair much less straining for homeowners. No longer do big excavations need to be made to remove and replace sewage lines, as trenchless technology allows all of this work to be done underground. The best trenchless sewer repair is pipe bursting, which can fully replace a pipe without needing to dig at all. The existing damaged pipe is forced out of the way, so that a new pipe can be pushed into take its place. When bursting a pipe, the area of the hole grows enough to easily slide in the new pipe, and it’s even possible to insert a slightly larger pipe, which will improve flow capacity. The old pipe materials like clay are replaced with SDR-17 HDPE (much better than PVC), which also makes the sewage system more durable. Enjoy this video which goes through one of our replacement jobs from beginning to end.